Following extensive engagement and constructive dialogue between BlackRock, Walden and a number of investors, the shareholder resolution was withdrawn. As a result of the dialogue, BlackRock has updated its website to provide fresh insights into the ways it believes climate change creates risks and opportunities for companies. BlackRock also noted that climate risk will be a priority for their engagement with companies and boards throughout 2017 and 2018. BlackRock’s announcement that climate risk will be a priority in their engagements with public companies is an exceedingly important message being sent by the world’s largest investment manager. 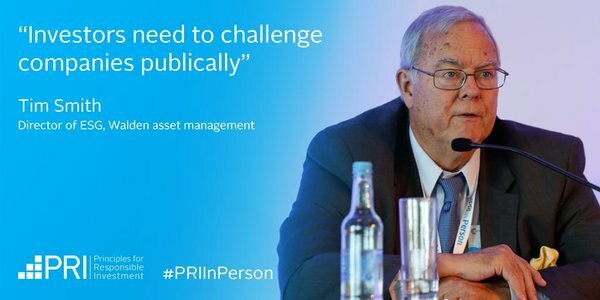 Hearing directly from one of your largest shareholders that they believe climate risk is a priority reinforces the importance of the issue for senior management of public companies. The statement also highlights the importance of climate competency at the Board level and notes this issue will be raised in direct conversations with selected independent directors. BlackRock meets with 1,500 companies a year. BlackRock has historically focused on governance issues when voting, while engaging on environmental and social issues. When BlackRock voted against management or individual directors, it was more often on governance issues than in favor of social issues or those relating to the environment. 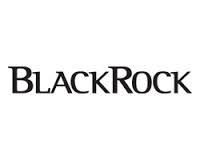 We are hopeful that BlackRock’s announcement and its engagement on climate risk will also result in active support for shareholder resolutions on climate change going forward. Climate risk will be one of the key engagement themes that the Investment Stewardship team will prioritize in 2017 and the team’s recent work on this issue and its engagement and contributions to external initiatives such as the TCFD [Financial Stability Board’s Task Force on Climate-Related Financial Disclosures] will inform our assessment of shareholder proposals on the topic. Over the course of 2017 we intend to engage companies most exposed to climate risk to understand their views on the recommendations from the TCFD and to encourage such companies to consider reporting against those recommendations in due course. For directors of companies in sectors that are significantly exposed to climate risk, the expectation will be for the whole board to have demonstrable fluency in how climate risk affects the business and management’s approach to adapting and mitigating the risk. Assessments will be made both through corporate disclosures and direct engagement with independent board members, if necessary. Consistent with our long-term value focus and “engagement first” process, where shareholder proposals on climate risk clearly address a gap in investment-decision and stewardship relevant disclosure, that we believe will lead to material economic disadvantage to the company and its shareholders if not addressed, and management’s response to our prior engagement has been inadequate, we will consider voting in favor of proposals that would address our concern. Ultimately the board is responsible for protecting the long-term economic interests of shareholders and we may vote against the re-election of certain directors where we believe they have not fulfilled that duty, particularly in markets where shareholder proposals are not common. I also filed a proxy proposal at BlackRock this season to address climate change. Had I not withdrawn the proposal, it could have muddied the waters with the proposal submitted by Walden and cosponsors. My proposal sought a report from BlackRock, asking them to explain the discrepancies between BlackRock’s public statements and their proxy voting behavior. I believe it was a higher bar. However, had I pursued that strategy, I am not sure I would now be able to report that BlackRock has moved on the issue of climate change. While I have a great deal of respect for Walden’s Tim Smith and Michelle Edkins, set to oversee BlackRock’s outreach efforts, I remain somewhat skeptical. I would like to take a trust but verify mode. However, we are not there to witness BlackRock’s quiet behind-the-scenes engagements. Even if they are very diligent, how are we to know and how many years will it be until we see real changes? Yes, “Walden moves BlackRock.” I am genuinely glad to report that but how may feet do oceans have to rise? How many degrees warmer must planet earth be? How many species must die before we can clearly see BlackRock getting to stage three? Despite being able to type Walden moves BlackRock, “significant financial harm to shareholders in the near term” may not come until the United States and other countries enact severe taxes on the extraction or sale of oil. I got into the field of corporate governance because, as a regulator, I frequently saw business regulating government more than government regulating businesses. If governments cannot regulate businesses on important issues, such as climate change, maybe shareowners can. We must not let corporations be democracy-free zones. Over the last twenty years, we have seen substantial progress in corporate governance. One of the most positive developments was the recent announcement by State Street Global Advisors (SSGA) that they will vote against board members charged with nominating new directors if such committees fail to make progress. Paying for a bronze statue to stand in front of the Wall Street bull was a stroke of genius. Let us hope that these recently announced initiatives by BlackRock and SSGA are genuine. If so, results could be huge.